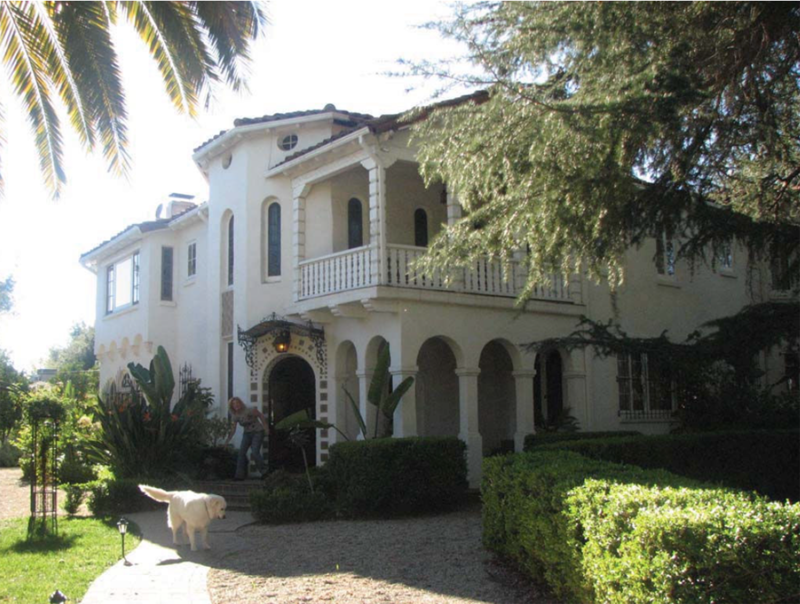 The Acacia Mansion is a large, intact, elaborate and finely detailed example of the Spanish Colonia Revival design that was popular Southern in California from about 1915 until World War II. The structure’s Moorish influence is also important as the impact of the Moorish period in Spanish architecture has left a lasting mark in the characteristics of the architecture throughout Spain and its colonies. The American Spanish Colonial Revival design is a direct descendent of the earlier Mission Revival design, which was a product of the nostalgia for the early Colonial history of both Spain and Mexico as well as a product of the Arts and Crafts movement that evolved during the period immediately before and after the turn of the 20th Century. The Acacia Mansion is an example of the high-end use of the Spanish Colonial Revival design, displaying much in custom work that was designed to transport one to the Country of Spain itself, with its unique blend of European and Moorish architecture.